What Becomes of My Estate if I Die Without a Will? - Crooks, Low & Connell, S.C.
What Becomes of My Estate if I Die Without a Will? For many people, the decision to prepare an estate plan comes when they learn the answer to the question, “What if I die without a will?” Failing to prepare a will can have many undesirable consequences, and putting together an estate plan is as much about protecting your loved ones as it is about distributing your assets and resolving your final affairs. By putting together an estate plan, you can limit the financial burdens on your estate and your loved ones after your death. For many people, tax planning is a major component of the overall estate planning process, and dying without a will can expose your estate to substantial (and unnecessary) estate and gift tax liability. 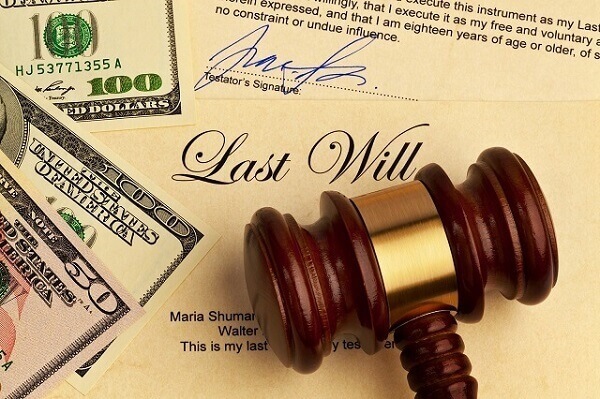 In addition, without a will, your estate will need to be distributed through probate according to Wisconsin’s law of “intestate succession” (more on this below). This process can be more costly than distributing an estate according to a well-crafted estate plan. If you do not tell your loved ones what you want, they are not going to know. Dying without an estate plan creates unnecessary confusion for family members, and this confusion can often lead to contentious disputes. In addition, probating an estate without a will can take longer when carrying out someone’s final wishes, and probate disputes can lead to additional costs and delays. If you die without a will, your assets (or what is left of them after taxes, expenses, and creditor claims) will be distributed based upon a rigid statutory framework that does not take into consideration any unique personal or family circumstances. Despite establishing fairly basic rules (e.g., if you have a spouse and only have children with your spouse, your spouse inherits everything), the law is still extremely complicated, and it fails to address the basic question of “who gets what” when more than one heir is entitled to a share of the estate. When preparing your estate plan, it is essential to gain a full understanding of your estate and the consequences of dying without a will so that you can create a plan that comprehensively addresses your needs. If you would like to meet with an attorney about putting together an estate plan, contact the Wausau, WI law offices of Crooks, Low & Connell, S.C. and request an initial consultation. Call us at (715) 842-2291 or submit our consultation request form today.